Ribose is an energy source that the body makes from food. There is some evidence that supplemental ribose might prevent muscle fatigue in people with genetic disorders that prevent sufficient energy production by the body. It might provide extra energy to the heart during exercise in people with heart disease. As a food supplement for adults, take one (1) to three (3) teaspoonfuls daily, mixed with 250ml water, taken with meals, or as directed by a healthcare practitioner. Do not exceed directions for use. 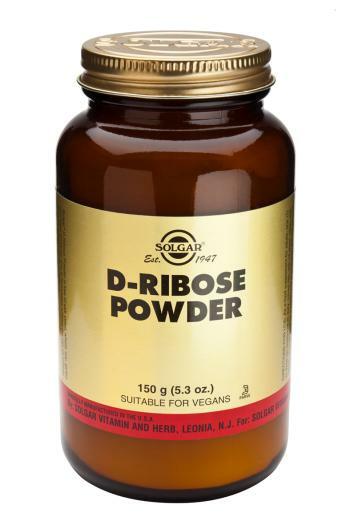 Solgar's D-Ribose Powder is free of corn, yeast, wheat, soy and dairy products and is formulated without the use of artificial preservatives, flavours or colours.